There are a lot of chemicals that go into making computers and their components, and now, computers are in everything from your car and phone to your refrigerator and washing machine. The problem is that many of these chemicals, like lead and mercury, are harmful to human health, and, when improperly disposed of can threaten the lives and well-being of an entire community. At Fair Waste Services in Chase, MI, we understand that there can a resistance to change in many organizations. For some businesses, recycling seems like too much of a problem to deal with. However, done the right way, your business can seize the opportunity to save money and, in some cases, even make some additional income. Recycling can feel like a waste of time, especially when you can just throw it out and forget about it. Even with laws in some areas mandating that electronics be recycled, many people are unaware that there are laws on the books in this area. Unfortunately though, these laws are rarely enforced. Aside from the health implications of throwing batteries and old computer components in the trash, there is the bottom line to consider. If you pay for trash removal by weight or volume, the less you throw away, the better for you and your finances. It would be better to locate a recycling company that hauls away your recyclables for free or a minimal fee, and then your waste disposal bill will become a lot lower. 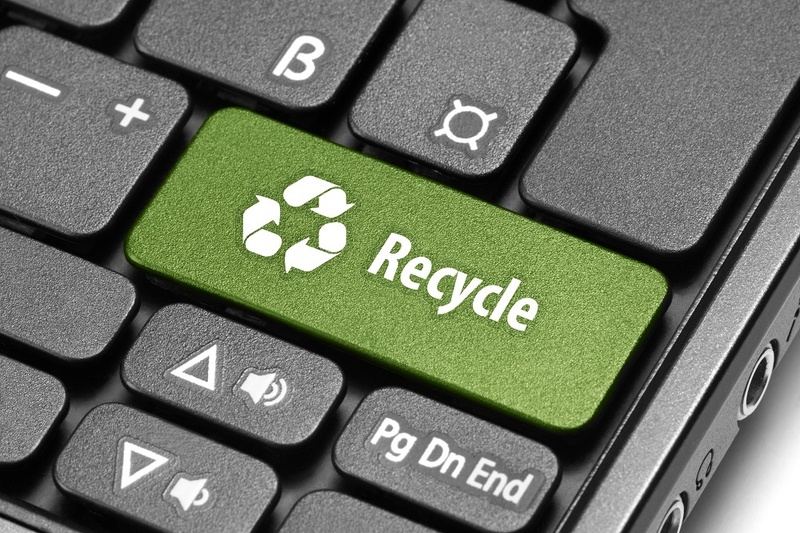 Business recycling offers your company an opportunity to significantly reduce your waste disposal bottom line. But if you're goal is to get rid of a lot of scrap metal pieces, for example, you may find a way to make some additional money from your throwaways. If you have a lot of trash and are looking at Chase, MI area dumpster services, make sure you ask about the company's ability to recycle your waste. Then inquire as to what you can do to take some of your old electronic components out of the community waste stream. You will be helping to keep these items out of the local landfill, lowering your waste bill, and helping to “reuse and recycle” all at the same time.